I had a great chat with Aoife Nic Canna earlier this week on Near Fm’s Ar Muin Na Muice Show. She played Mise Éire, Dónal Ná Fág and September 1913 from the new collaboration CD, with Stephen James Smith, Arise and Go. If you have a cúpla focail(a few Words) then have a listen! The Poet Stephen James Smith and myself are releasing a video on youtube today. I hope you enjoy it and it would be great if you could share it around the internet! We will also be playing a gig and there will be a screening at The Brown Bread Mixtape this evening in The Stags Head in Dublin. 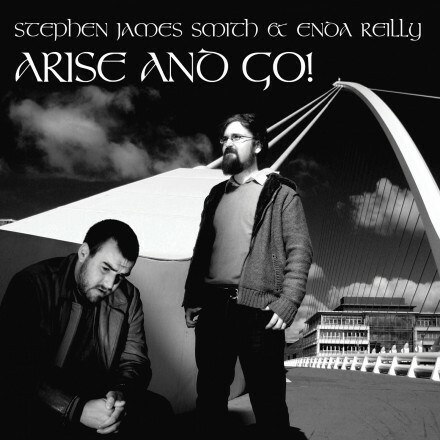 The official Launch of the Arise and Go Album by Stephen and myself will be on the Sunday 4th December in the Pearse Centre on pearse Street Dublin. Really excited about the next few months bringing the Arise and Go! album to yer good selves. Stephen James Smith and I have set up a Facebook page for all things to do with the forthcoming release of Arise and Go! the collaboration album we’ve made. There will also be a video of the first single, September 1913 a joint production by Myles O’Reilly, Stephen Mogerley, Bob Dixon and ourselves which will be out at the end of this month. Arise and Go! will be available from itunes, probably CD Baby for those in the States and a record store or two. So go and check out some of the cool photos from the Bob Dixon shoot at the new Smith And Reilly Facebook page and tell all poetry/music lovers who’d be into it!